Silla for Import and Export is an organization that places value on quality over pricing. The company aims to offer the best products and services available on the market. Having been formed in 2000 as a processing company, Silla continues to serve the growing interest in flexo technology through Continuous Research on latest news and trends in Flexo Technology. Timely deliveries, rapid response technical support services and low pricing keeps us steps ahead of our competition. We are proud to Inform you that we have successfully established Silla for Import and Export Ltd, in Lagos Nigeria for ease of access to our products for our customers in the West!!!! Sumei is one of the leaders in the research and manufacture of polymer resins, having been established in 1971. Sumei takes pride in delivering plates that meet and exceed industry standards. Our Agency position gives us access to the latest product developments and new Technologies giving us a well informed Technical Support Team and high Sales Volumes! Manufacturers and suppliers of Flexo Plate Making Machines: Goaan Tain LTD can combine excellent Japanese Technology with European Raw Materials in one machine to produce an excellent developed quality plate with low cost. They monitor their products and keep track of developments in the flexo tech. world to provide the necessary parts and technology in their machines to give the superb results in printing. Silla for Import and Export Limited in Lagos Nigeria is now open for business. Contact Mr. Ola on 08125160761 today!!!! Silla for Import and Export, Egypt joined forces with Sumei Chemical Company, Taiwan in Dubai to bring awareness to the Sumei Flexo Plates at an exhibition that was attended by many processors and distributors. Silla for Import and Export attended this exhibition to show support to our major clients and to bring awareness to our brand, Sumei. We got information about the market needs and proposed solutions from the actual end users. Silla for Import and Export going Global with the Sumei plates! Our confidence in the quality and performance of the Sumei plates has motivated us to take them further. 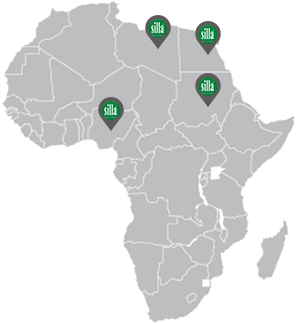 We are targeting African Countries through our newly expanded marketing team and marketing tools.  Silla has recruited and trained a strong technical support team who have many years of experience amongst them. They are fluent in English and available to assist 24/7.